From Stack's sale of the DiBello Collection, May 1970, Lot 481. 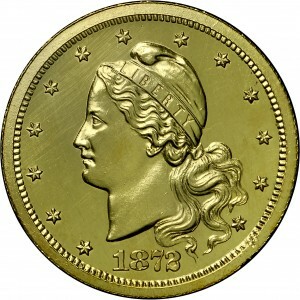 Capped head of Liberty to left, LIBERTY on band of cap, hair gathered behind head, flowing into field, 13 stars around, date below. 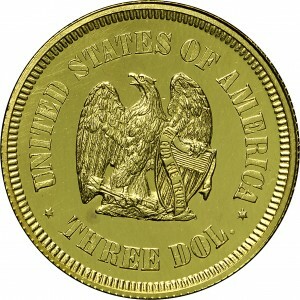 Eagle with spread wings standing at center, left talons on shield, ribbon on shield reads IN GOD WE TRUST, three arrows in right talons, UNITED STATES OF AMERICA around, THREE DOL. below. "Judd-1236. Proof. Copper gilt Pattern, Barber design. Rev. 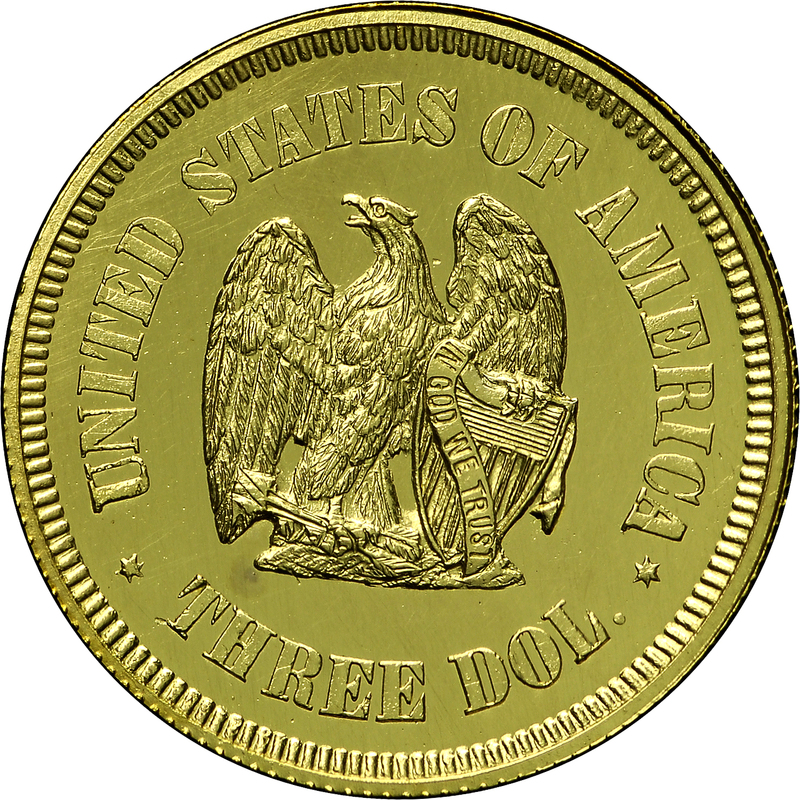 Standing eagle later used on the so-called Bailly design of the trade dollar (Judd-1281)."